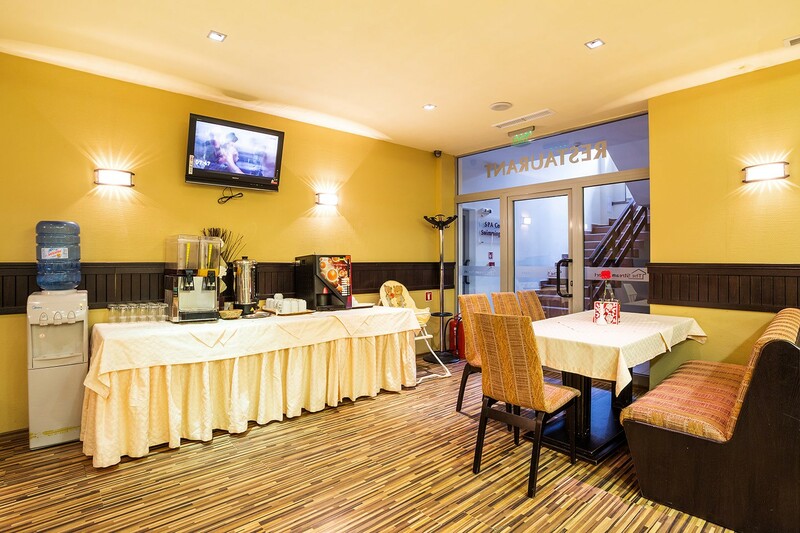 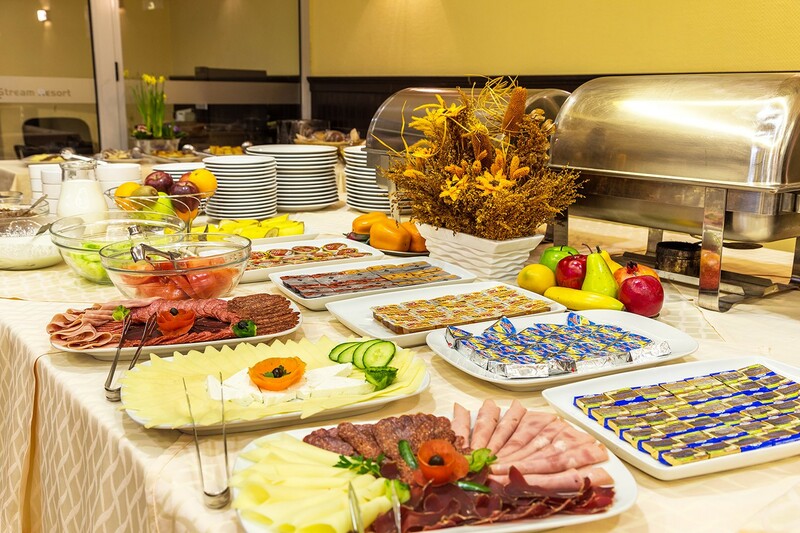 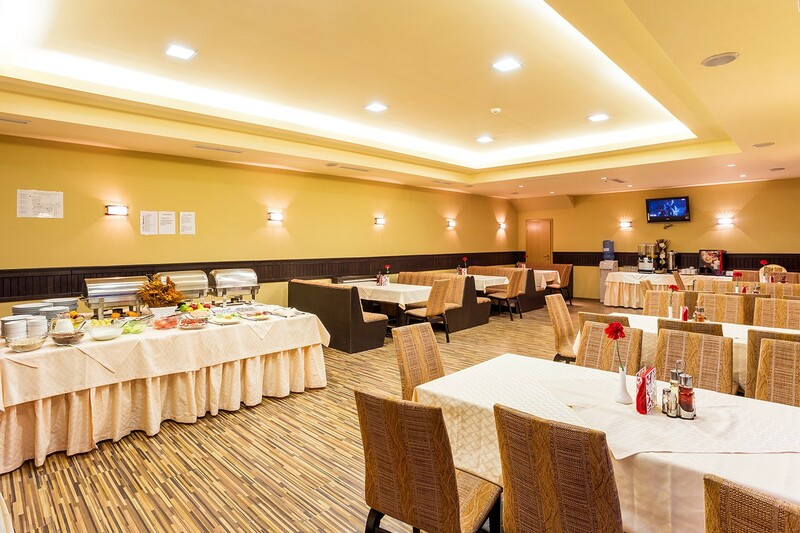 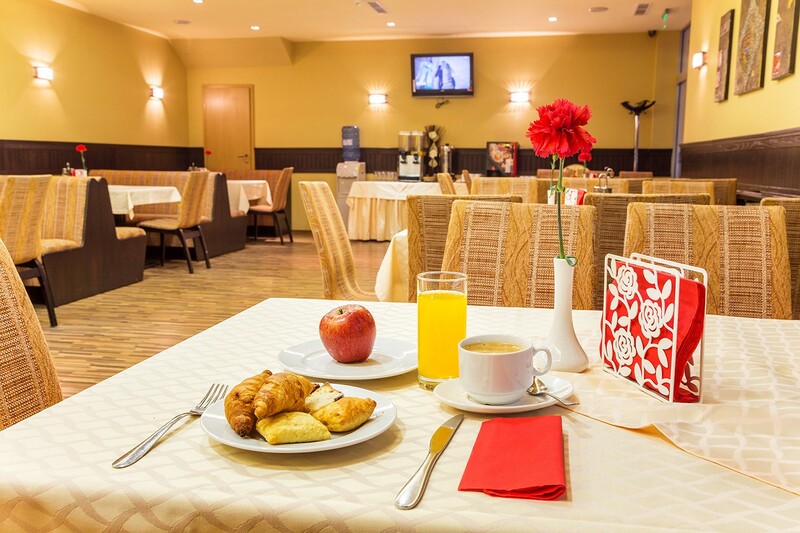 We serve breakfast to our guests every day in the main hall of the restaurant from 8:00 to 10:30 o’clock. 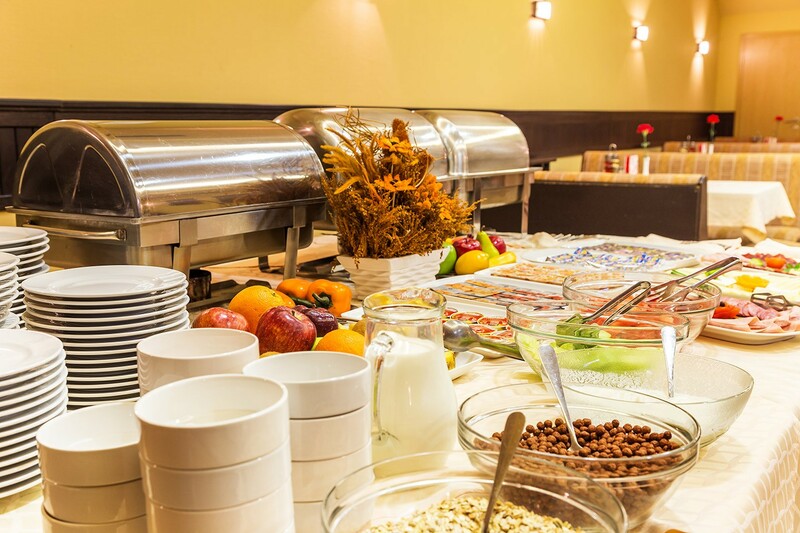 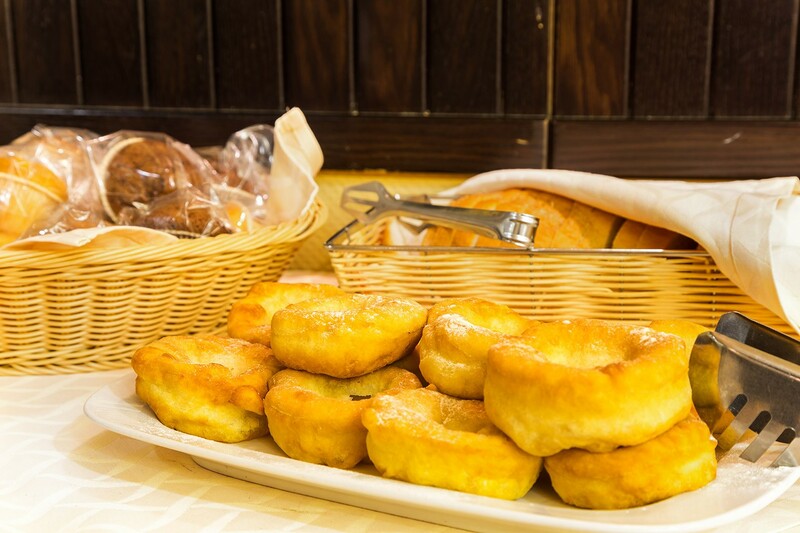 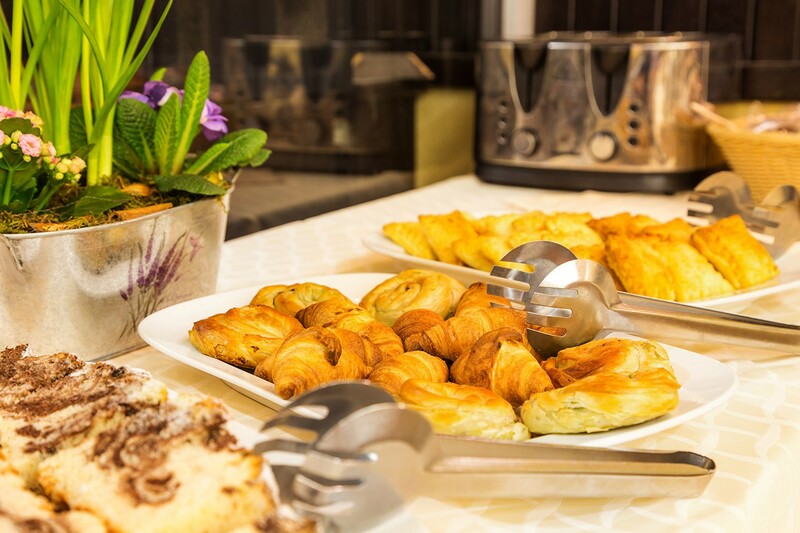 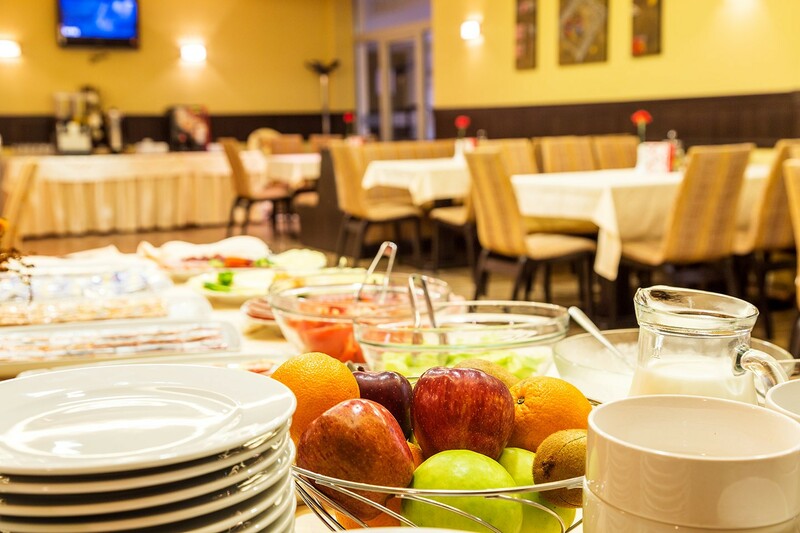 For breakfast, we offer sausages, cheese, eggs, jam, fruits and vegetables, granola, fresh baked patties and croissants, homemade French toast, fried dough and others, for you to meet your day full of energy. 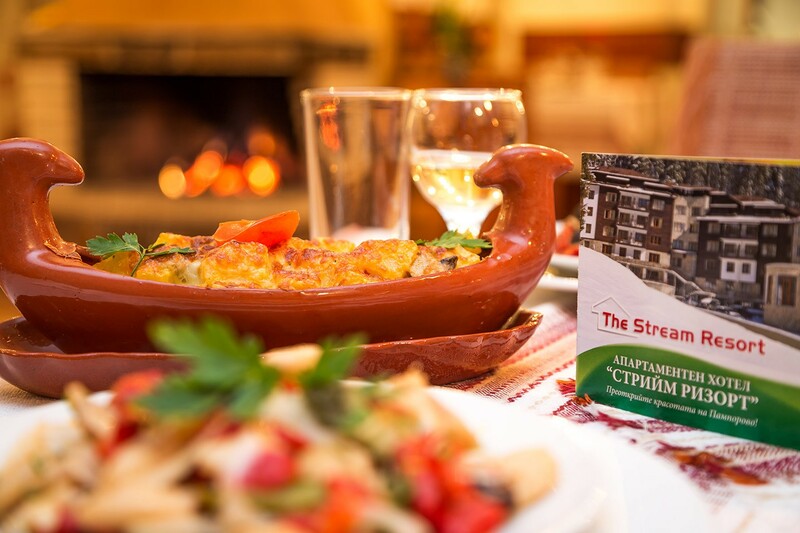 Enjoy as well a cup of aromatic coffee or tea - bouquet of mountain herbs! 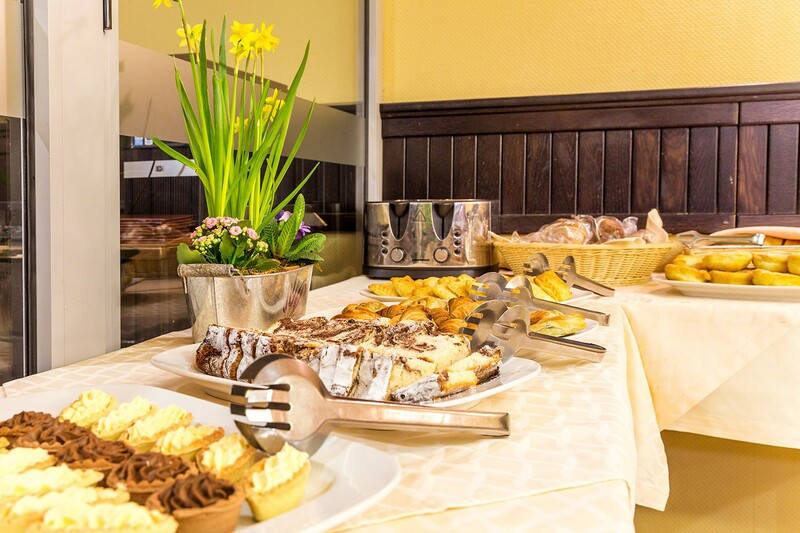 For dinner, we welcome our guests every day, on a buffet-style table, from 18:30 to 21:30 o’clock, in the main hall of the restaurant. 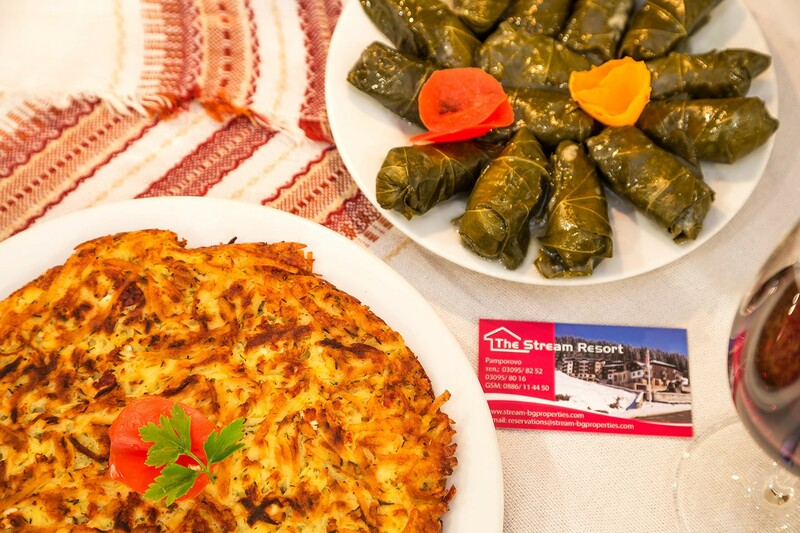 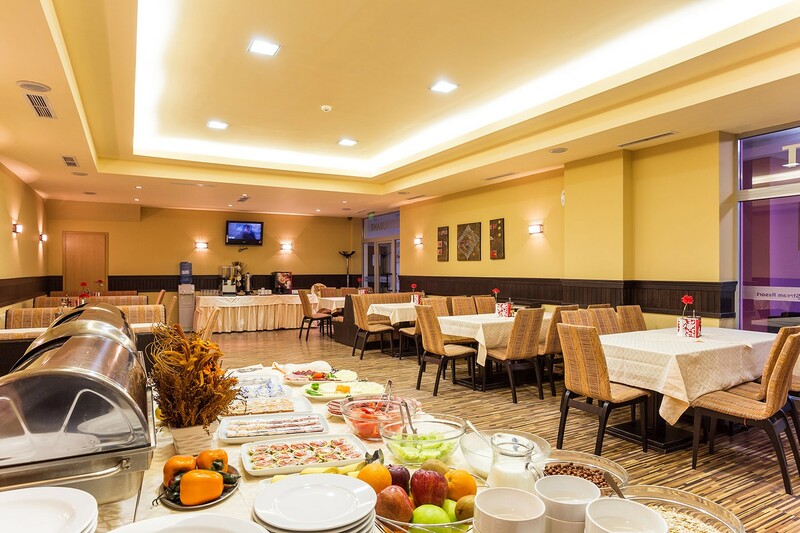 For dinner, we offer a choice of several types of salads, appetizers, main dishes and garnishes, as well as different types of desserts. 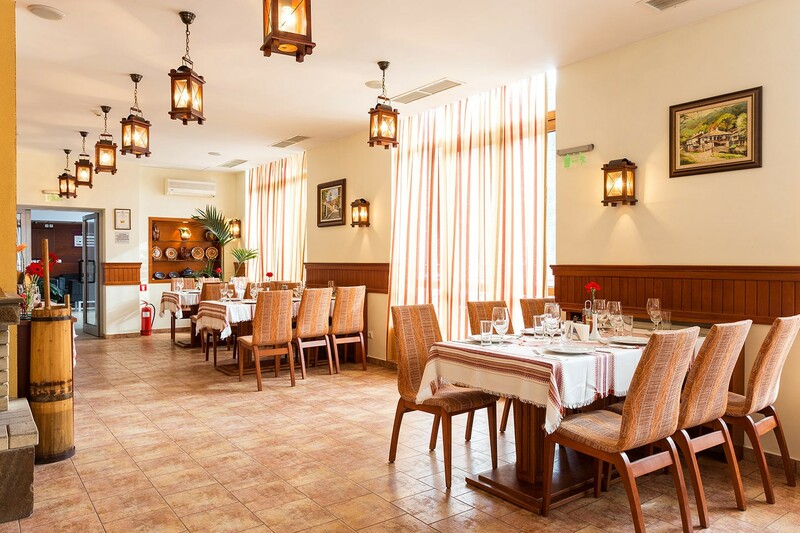 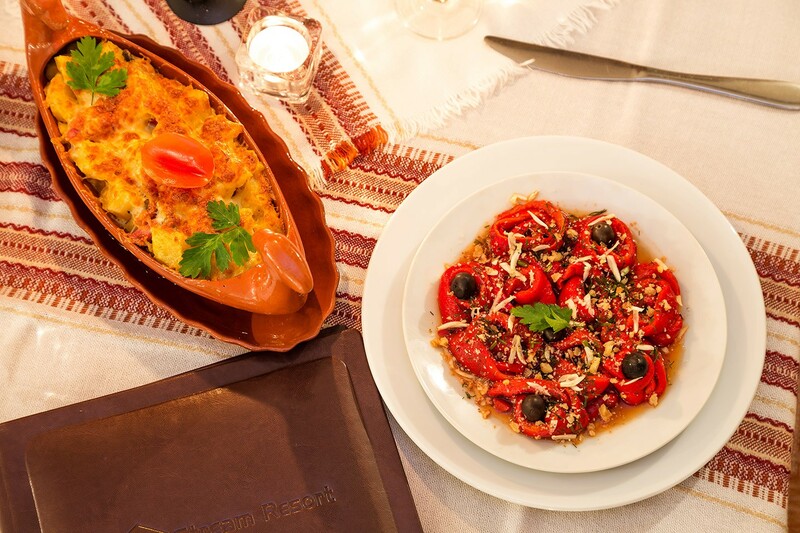 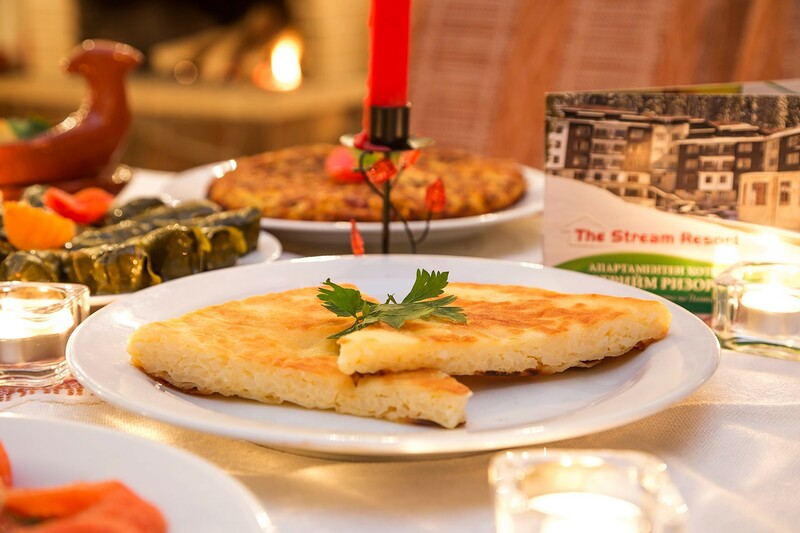 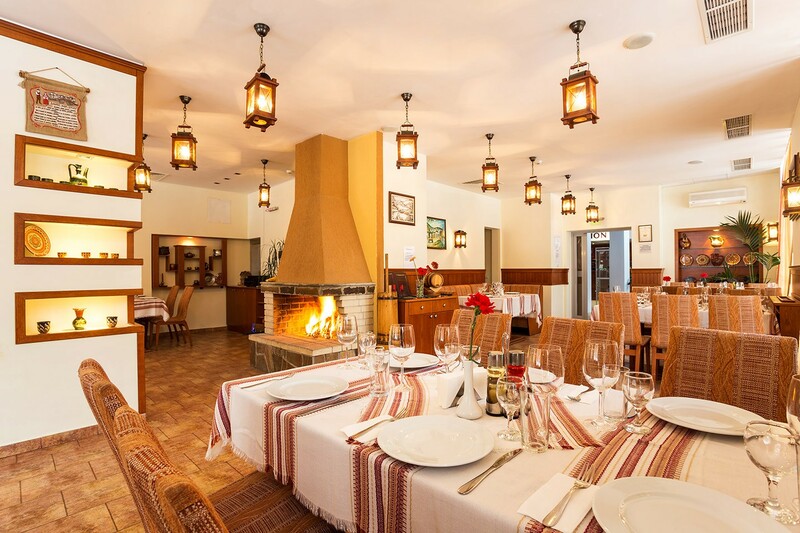 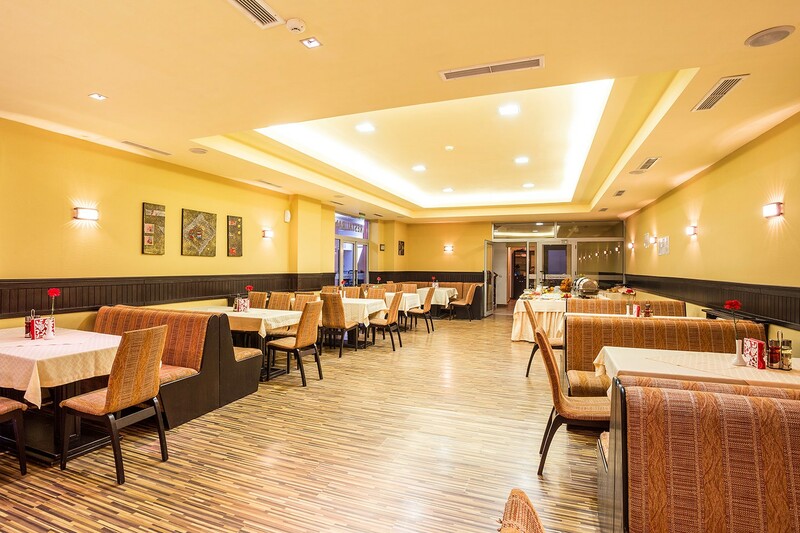 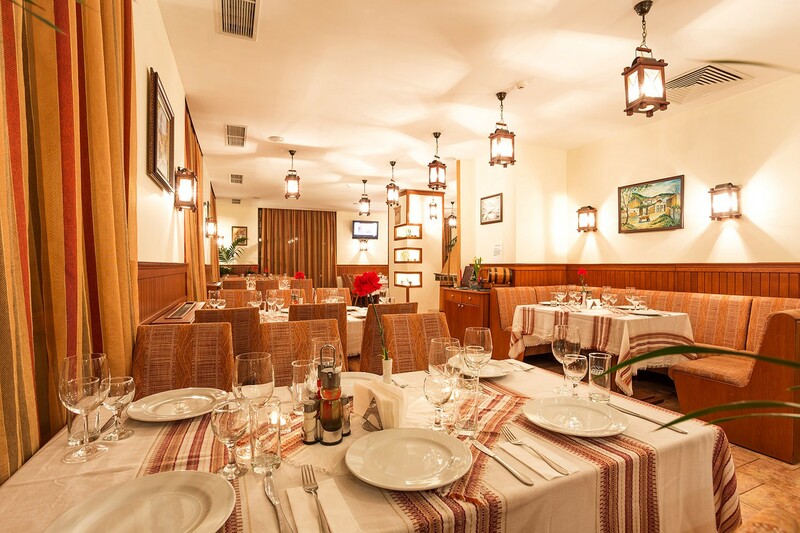 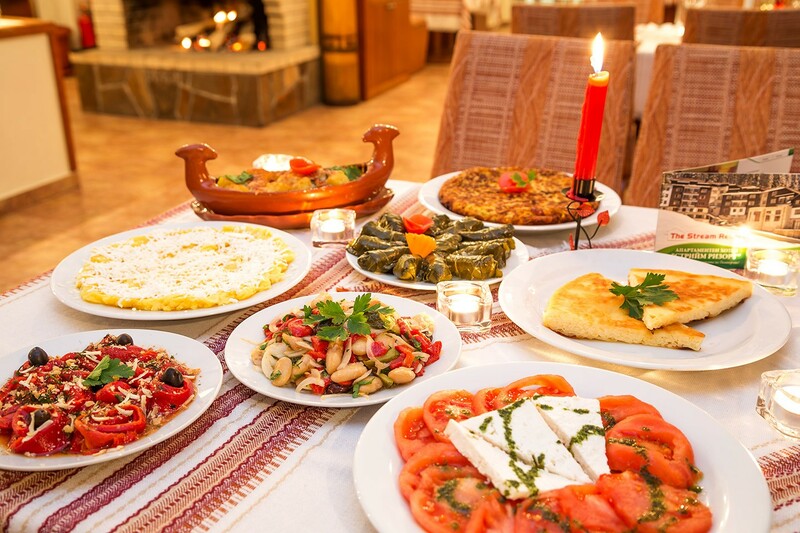 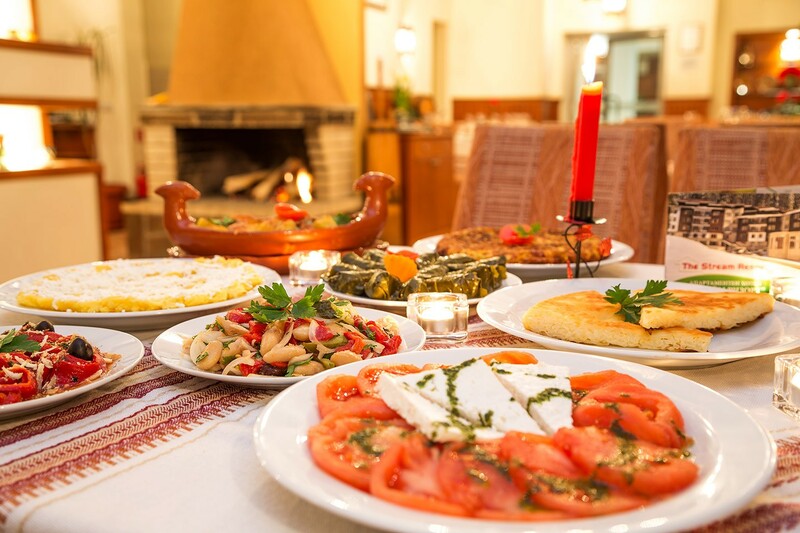 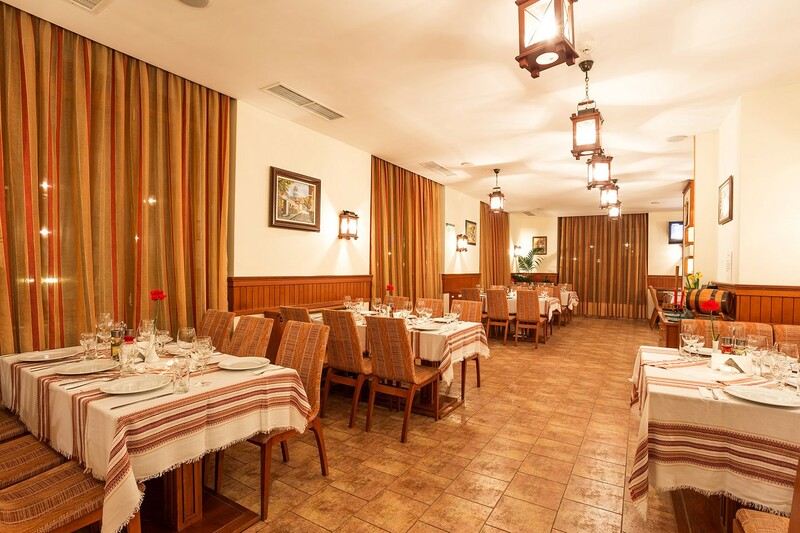 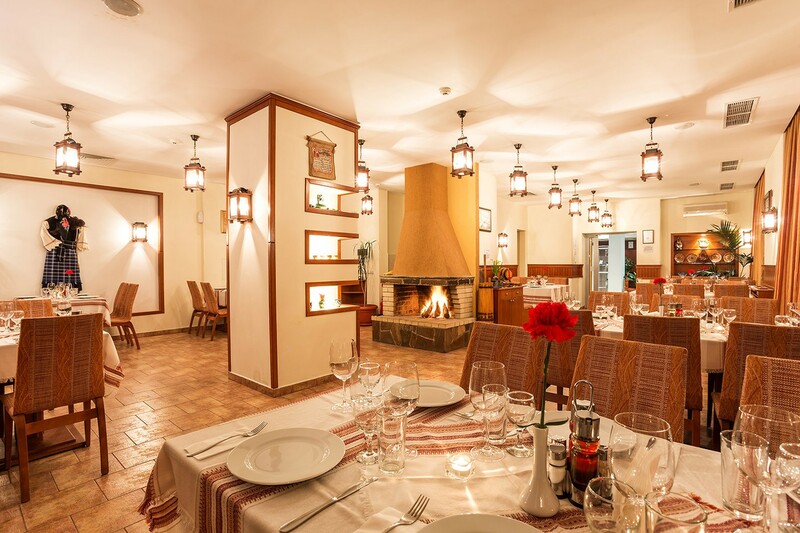 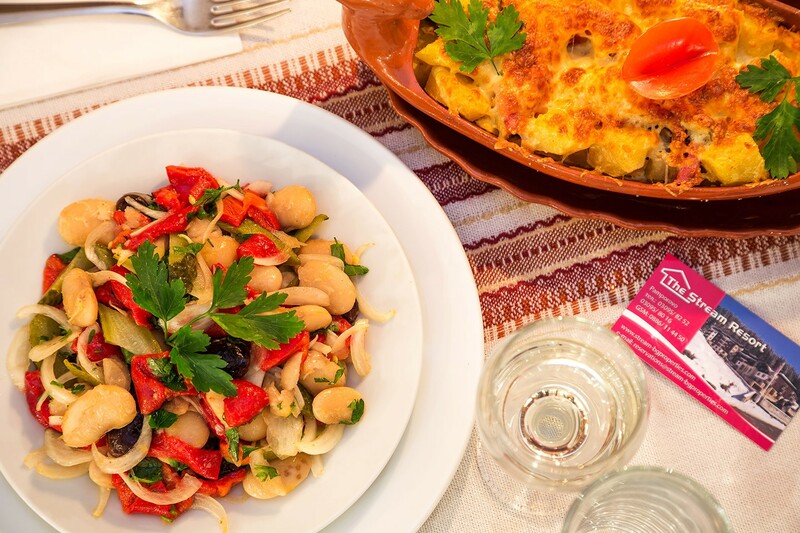 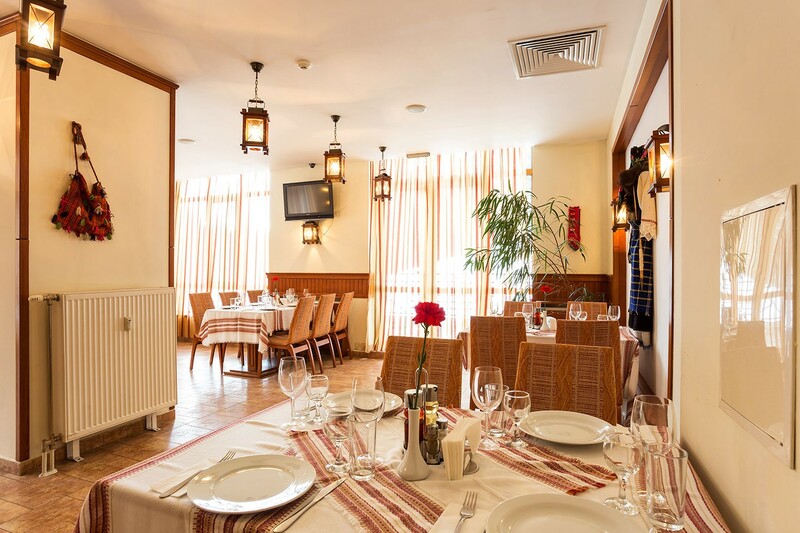 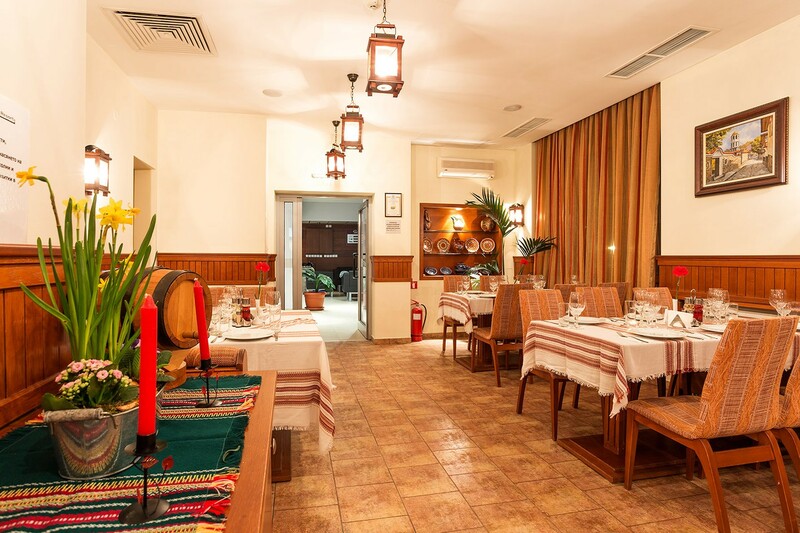 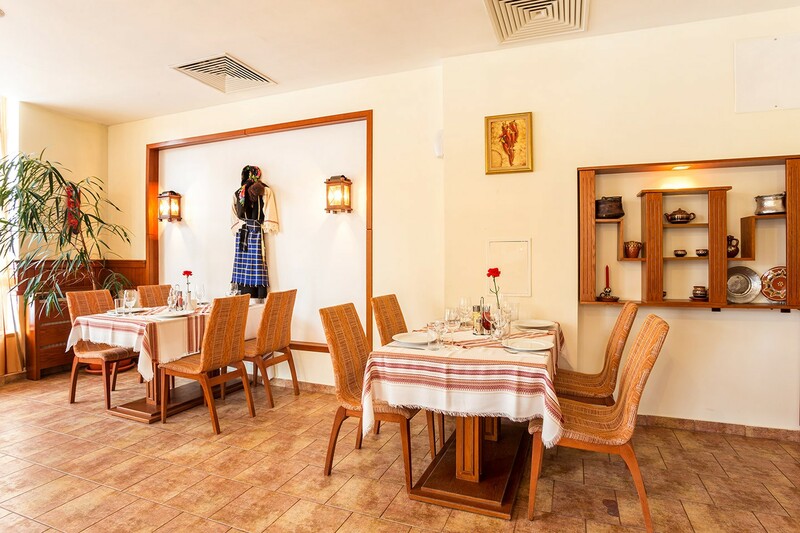 We invite you to the cosy folk-style room in the restaurant to try the taste of the traditional Bulgarian dishes and Rhodopean specialties, prepared with lot of love and skill. 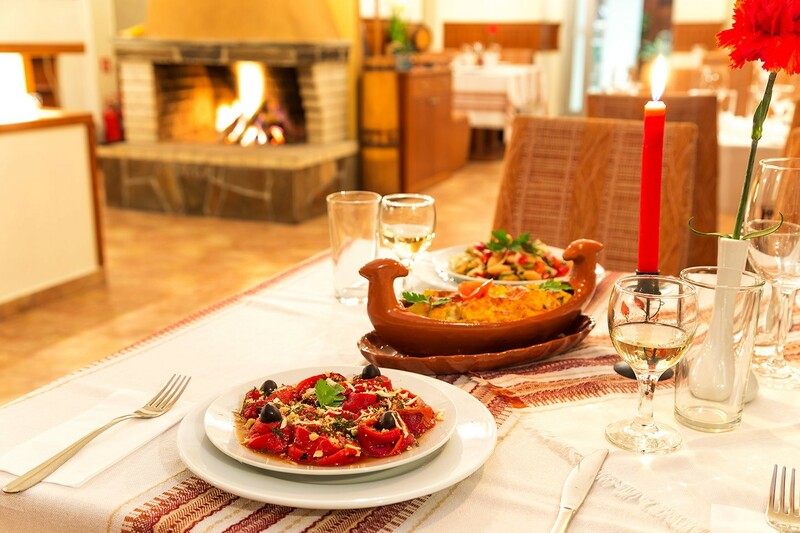 Have a glass of nice wine by the fireplace, in the company of relatives and friends. 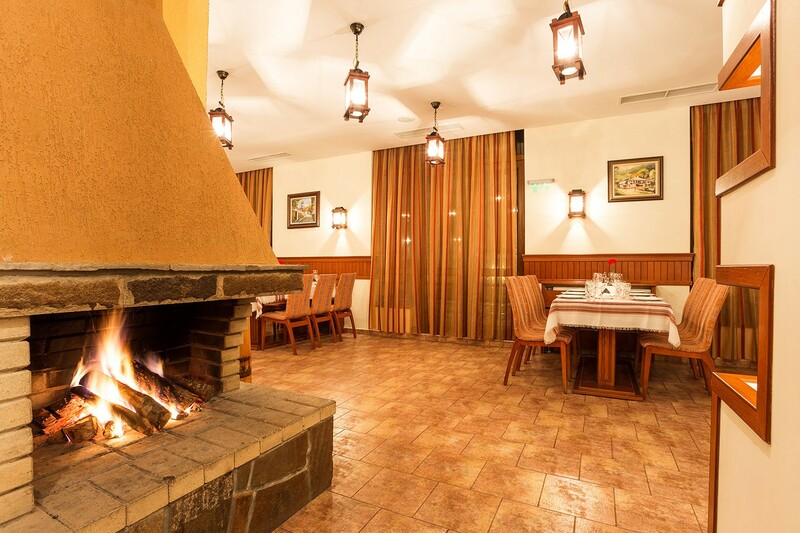 The cosy atmosphere created by the warmth of the fireplace, the delicious meals, the pleasant company and the unique view of the brooklet and the forest will mesmerize you and will remain forever in your heart!